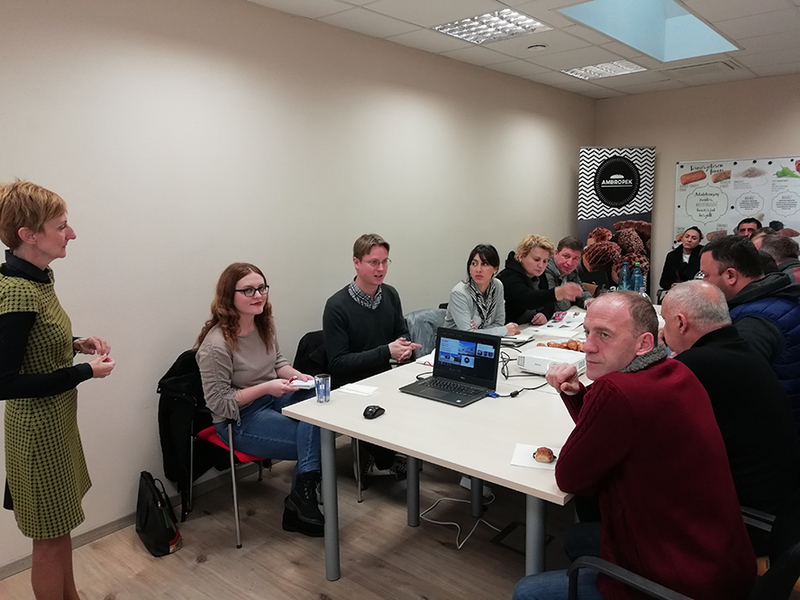 In October and November 2018, altogether 30 representatives of Georgian small and medium enterprises, civil society organizations and public officials were provided with opportunity to visit and learn about Lithuanian and Slovak practices of integrating into the EU single market. Each visit consisted of 15 Georgian representatives coming from different Georgian regions. Accordingly to professional interests of study trip participants, local partners the Eastern Europe Studies Centre (EESC) in Vilnius and the GLOBSEC Policy Institute in Bratislava with the support of Georgian project implementers – the Georgian Institute of Politics, ATINATI, the Young Scientist Union “Intellect”, the Caucasus Genetics and the Association of the Business Consulting Organizations of Georgia – built the agenda and set up meetings with government officials, local entrepreneurs and other relevant parties. The first study visit took place in Lithuania on October 14-21, 2018 and was shortly followed by the one in Slovakia on November 12-16, 2018. 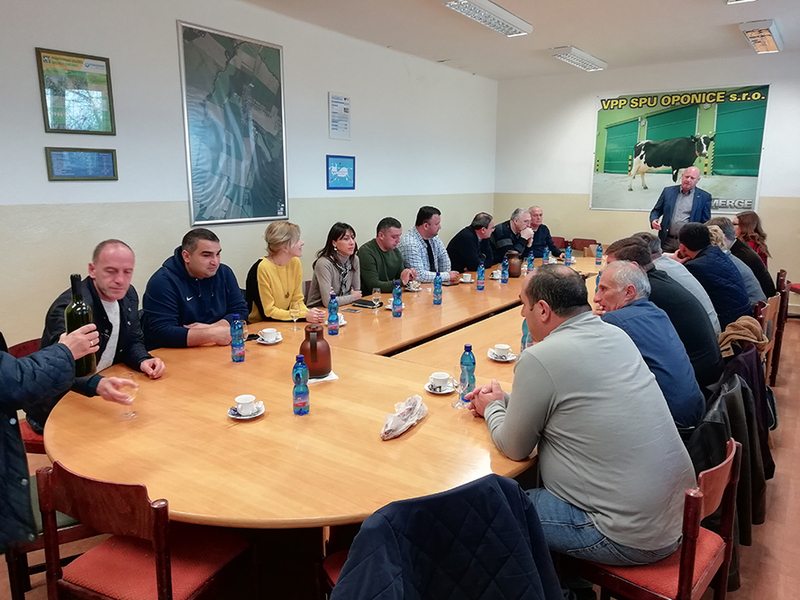 The program of the study trips included official visits to the state institutions and universities, information meetings to the business associations and chambers of commerce and trade, as well as site visits to the local farms and factories. In both cases, the beginning of the visit included an official opening part. In Vilnius, the very first meeting was held at the Ministry of Foreign Affairs of Lithuania, during which representatives of the Eastern Neighborhood Policy Department and the Development Cooperation Department presented greeted the Georgian delegation, presented Lithuania’s objectives of the EU’s Eastern Neighborhood Policy, particularly issues related to the external economic relations and economic security policy. Furthermore, discussion included presentation of Lithuania’s Development Cooperation and Support for Democracy Programme, which in addition to the EU supported organization of the study visit. At the moment of the study visit, the Programme had the call for project proposals, which was of particular interest for the Georgian delegation. In Bratislava, Georgian delegation met with Ambassador Michal Slivovič, Director of the Eastern Europe, South Caucasus and Central Asia Department at the Ministry of Foreign and European Affairs of the Slovak Republic. Discussion with Ambassador Slivovič was especially important to get first-source information about the EU accession experience of Slovakia and about how the general EU requirements were met during the different phases of the integration process. 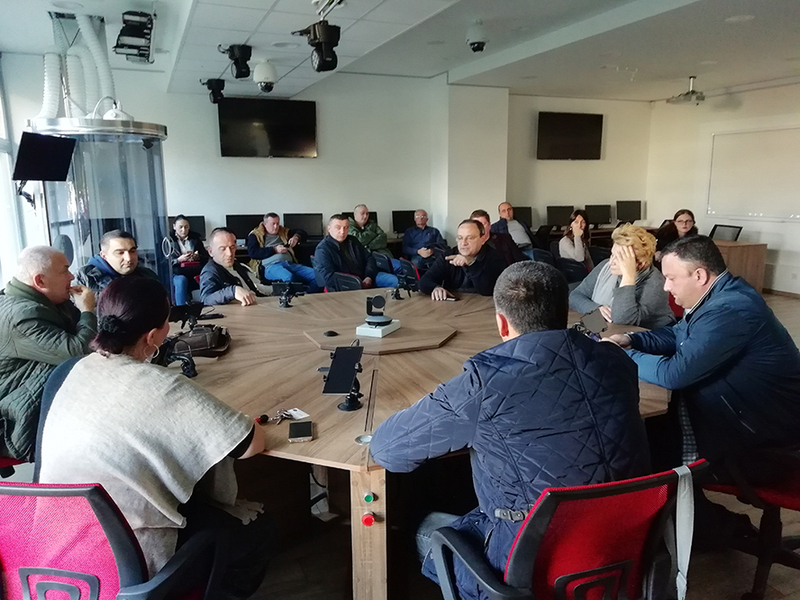 Apart from this, the participants discussed tourism as one of the top priorities for economic development of Georgia, barriers for the integration process, such as conflicts. During the meeting, special attention was drawn on the intensity of Slovak – Georgian cooperation, including different agreements signed between Slovakia and Georgia among which is ambition to launch direct flights between Bratislava and Tbilisi. The second part of official meetings continued with visits to the Ministries directly linked to economic and agricultural issues. 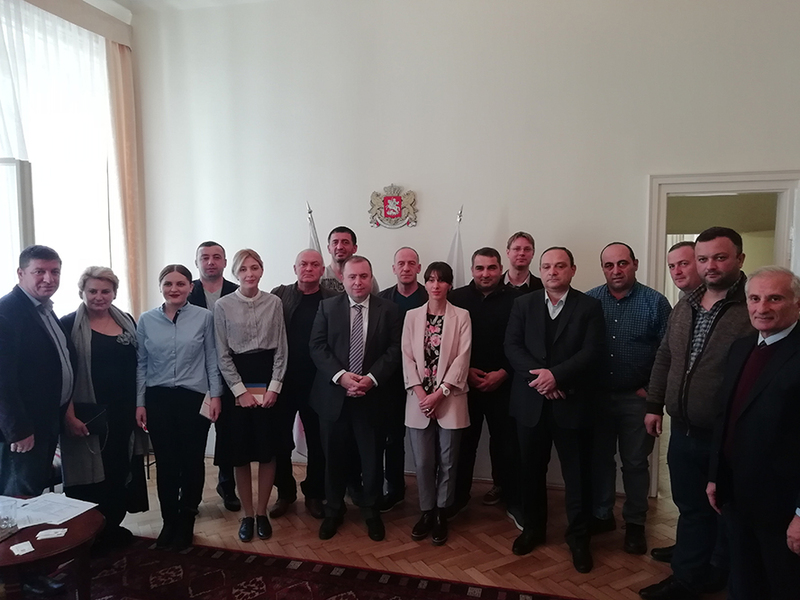 In Lithuania, EESC together with other project partners organized a meeting at the Ministry of Economy, where Georgian participants learned about existing support mechanisms for small and medium enterprises, investment and export policy and the EU assistance coordination. In addition to this, a very fruitful meeting was conducted at the Enterprise Lithuania, an agency supporting export of local businesses. 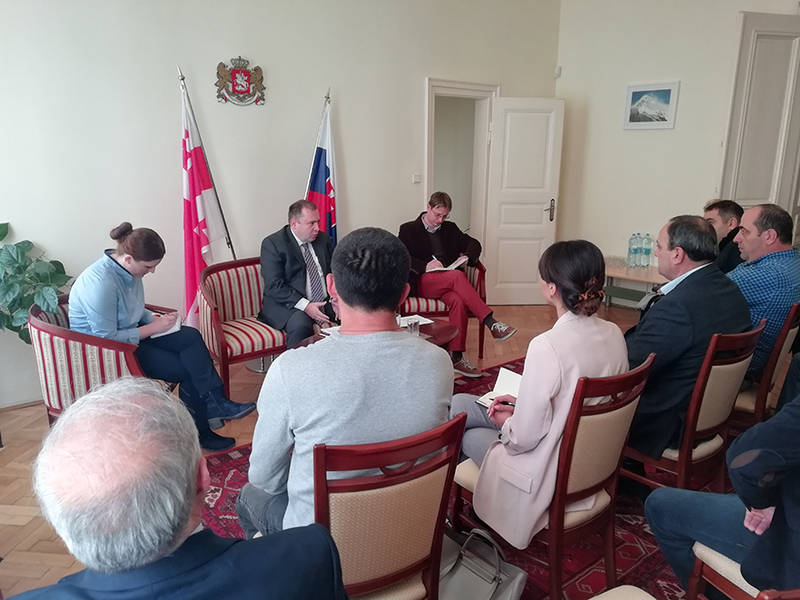 As for the Slovak trip, Georgian delegates had their second meeting at the Ministry of Agriculture and Regional Development, where the field specialists shared the Slovak experience of breeding and plant growing, rural development, food safety and risk analysis. Moreover, they provided information about national programs in support of agricultural products and food Label of Quality SK. In both countries, the study trip covered several information meetings with the business associations, donor organizations, research institutions and civil society representatives. For example, in Vilnius, Georgian delegation met with the Head of the European Commission Representation Mr Arnoldas Pranckevičius, while in Bratislava they had meetings at the Chamber of Commerce, Industry and Crafts (CCIC) and SlovakAid. The latter, in addition to the EU, supported Georgian delegation’s visit to Slovakia. The aim of these meetings was to share experience in terms of business support projects, attending the international business expos and attracting the foreign direct investments (FDI) and technical assistance for start-up initiatives and small and medium businesses, particularly when it comes to registering, administering, taxation and other related matters. 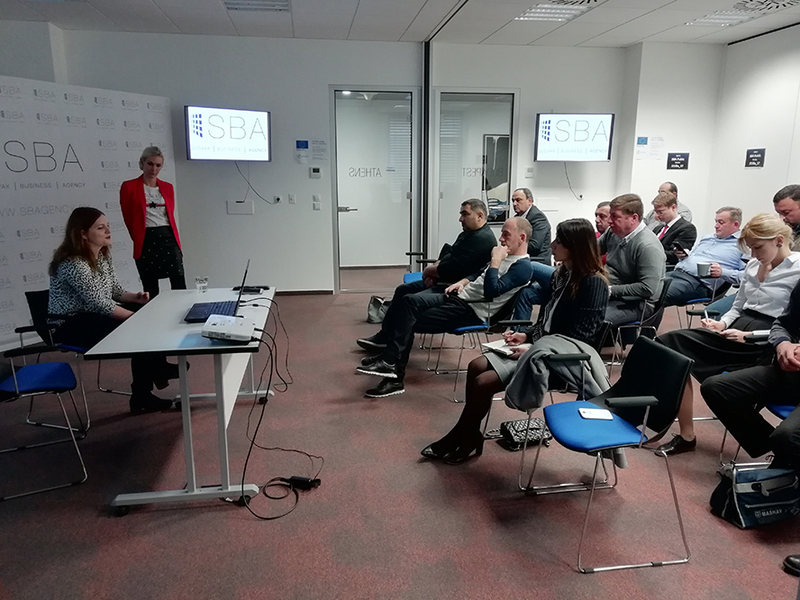 Moreover, the study trip participants together with representatives of Lithuanian and Slovak business discussed the long-term funding strategies, micro grants, as well as exchange and joint educational programs in the field of agriculture. 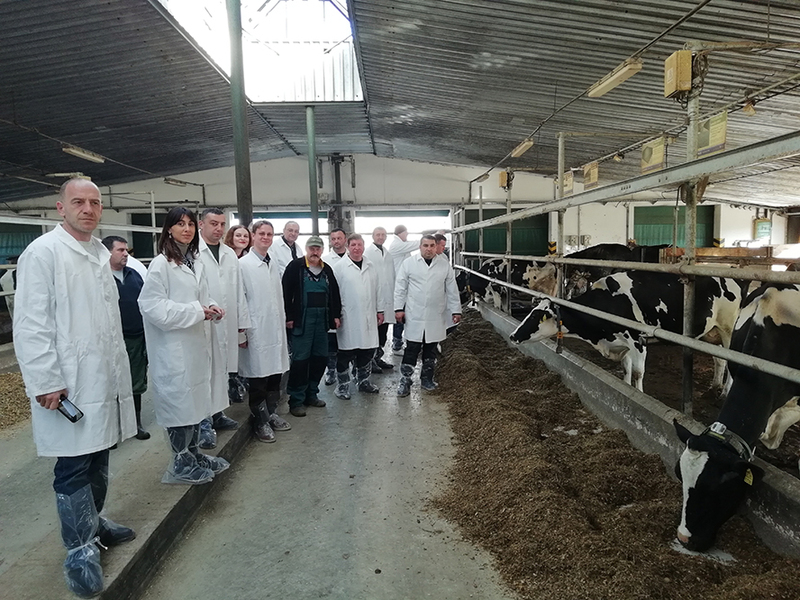 Another part of the study trips included sectoral site visits and masterclasses, where Georgian participants examined how Lithuanian and Slovak farms and factories operate. In both countries site visits covered guided tours in the farms of cattle breeding, beekeeping and factories of the bio organic production. 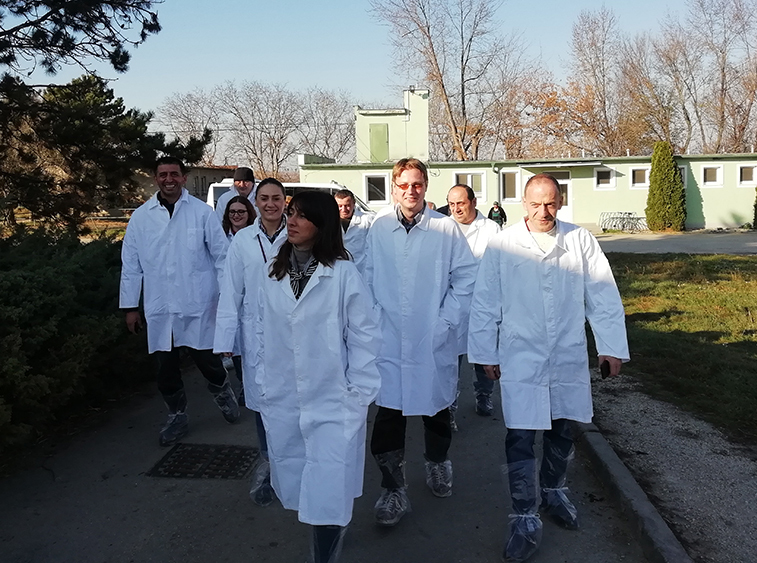 In Lithuanian, participants visited “Valerijonas” pharmacy, where they learned about production of ecological cosmetic products; LLC “Mėta”, an organic enterprise producing canned vegetables and natural sweets; and LLC “Švenčionių vaistažolės“, a herb processing plant. Apart from this, Georgian farmers had an honour to meet Dr Algirdas Amšiejus, Vice President of Lithuanian Beekeepers Union, Lecturer at the Faculty of Agronomy of Aleksandras Stulginskis University and professional beekeeper, who ran a masterclass on bee-friendly honey production. Similarly in Slovakia, Georgian delegation had an opportunity to travel to different regions and visit the farm of Oponice for cattle breeding and milk production; Lunter production of tofu and soya-based spreads; Kozi vrsok producing goat milk and cheese; as well as, Včelárska paseka, the place for apiculture and honey production. 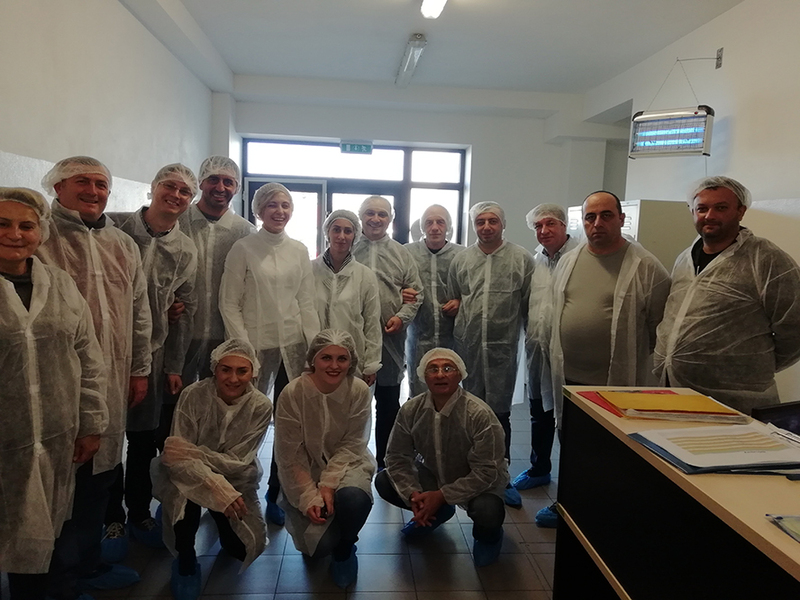 Apart from this, Georgian delegation in Slovakia went to Dunajska Streda where they visited the Ambropek bakery and pastry production company. Georgian participants were especially impressed by the infrastructure and machines which are being used to produce bread. 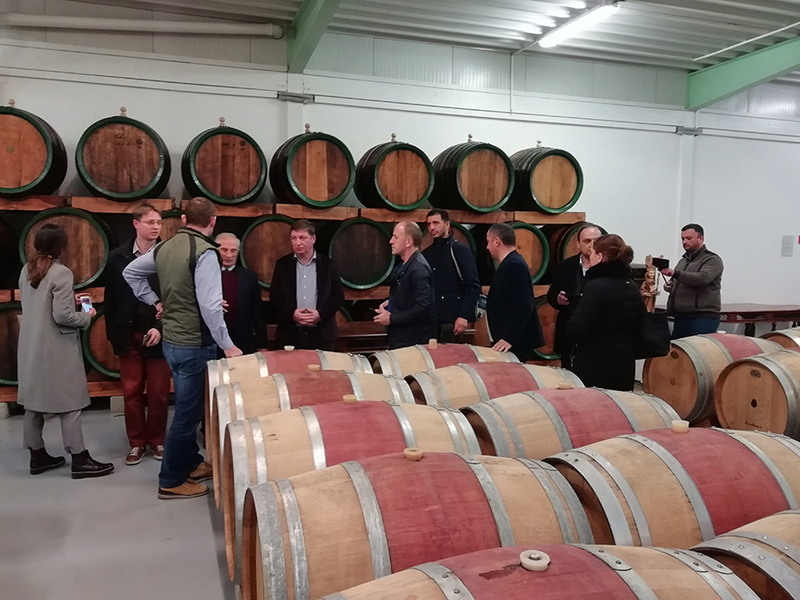 The last part of the study trip to Slovakia included a visit to Viniculture Matysak, where Georgian delegates had an excursion to the wine factory, tasted different flavors of wine and talked about the possibility of planning a joint wine expo in Kakheti region. All in all, participants of the both study trips assessed the visits positively and expressed their intention to, for example, conduct joint training programs and workshops with Lithuanian and Slovak counterparts or to organize business expos with newly acquainted foreign partners. They have also discussed possibilities for inviting Lithuania and Slovak experts to Georgia to re-train Georgian labor force and considered opportunities for launching new business partnerships.